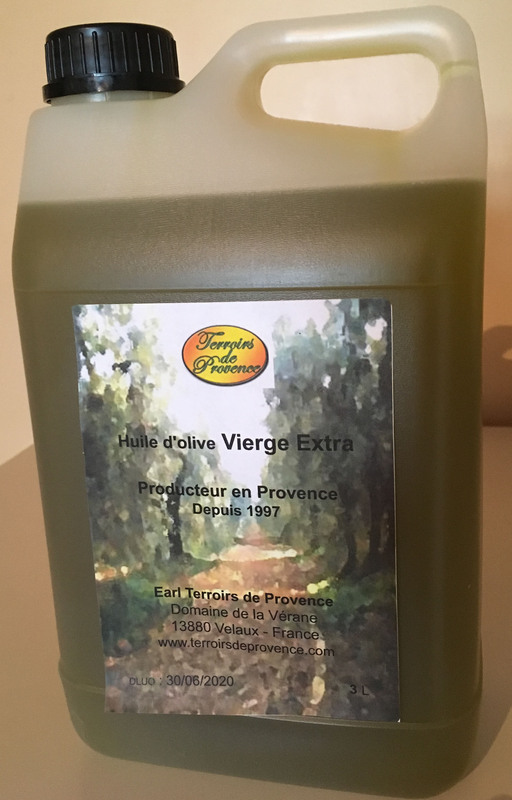 "Terroirs de Provence" is a family farm understanding 12 hectares of olive-trees producing its olive oil. The vareties : The main olive types are : aglandeau, salonenque and few one (such as bouteillan or triparde…) that carry the pollen. The mills : Once they came to maturity ( November / December), the olives are gathered and then ground up. The first cold press process takes place in the traditional mills. Our olive oil is obtained in an artisanal way by only one (first) cold pressure using stone runners (photo above, on the left) which crush olives and make of it a paste which is then in a hurry in scourtins to extract from them the juice (or occasionally by a process more modern as the continuous chains which replaces the grinding stones). Then this juice passes in a centrifugal machine (photo of the medium) to separate olive oil from water. Then recovered olive oil is stored in tanks (photo of right-hand side) at good temperature. The olive oil " Virgin " must be lower than 2% of free fatty acids and 20 meq/kg of index of péroxyde. 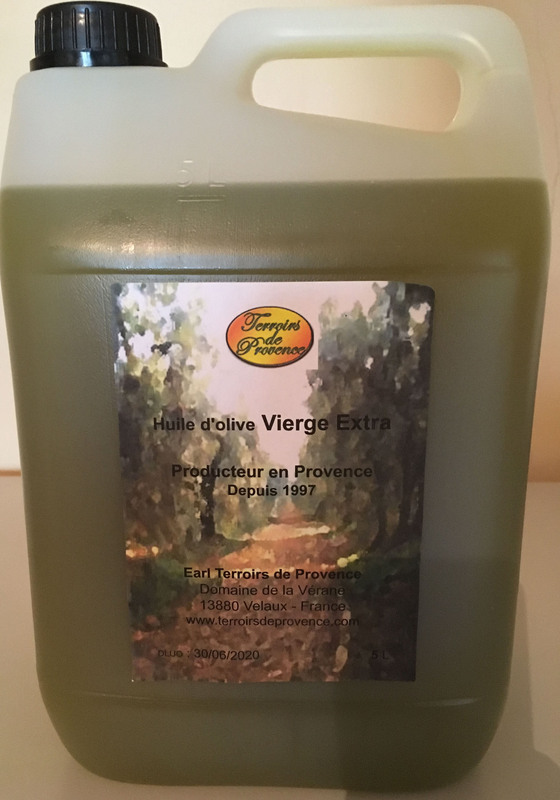 The olive oil " Extra Virgin " must be lower than 1 % of free fatty acids and than 20 meq/kg of index of péroxyde. Olive oil is a raw, natural and tasty fruit-juice that dispenses different flavors: As for "aglandeau" variety, the flavors are dry almond, artichoke and cocoa. The flavors of "grossane" variety are red fruits, grapefruit and strawberry jam. The oils of our valley propose truffle and vanilla as specific flavors. Just as for any other fruit, weather conditions until the harvest have a great influence on the flavor.